If you're an expert in finance and business, you probably won't have trouble finding a job. 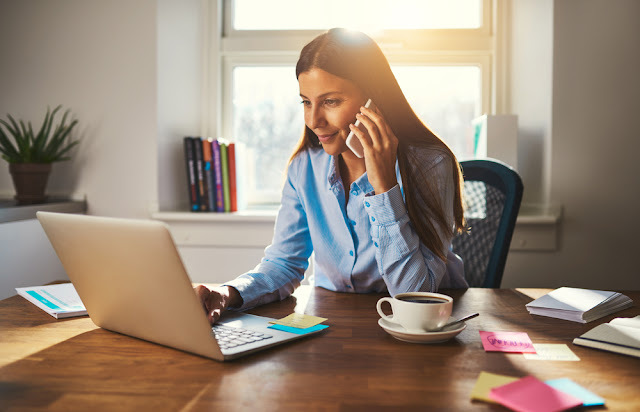 Off late, the industry has seen an increasing number of jobs that allow the option of working from home or remotely and earn handsomely without facing the hassles of going to the office every day. Some organizations only require employees to come into the office once or twice a week, for conferences or presentations. There is a long list of finance-related jobs that can be done from the comfort of sitting at home, from full-time corporate positions to freelance writers. Check out six finance-related jobs to make money from home. If you are an expert in picking the best stocks which have tremendous potential to generate wealth and trade them according to the fluctuations in the market, then you can consider the job of a day trader. Day traders can make huge profits by buying and selling stocks on a daily basis. The day trader holds the stocks for a short period of time and sells when the market conditions are favorable before the trading day ends. If you have accounting skills you can help individuals and companies with taxation, payroll services, fraud investigation, financial management etc. All companies need accountants to take care of their income and expenditures and are in high demand owing to their statistical and technical knowledge. The profile of a financial accountant requires experience in functions including audits or financial statement analysis. There are a large number of clients who need skilled accountants to do their financial statements and with the advent of technology; the tedious task can be done remotely as well. Personal financial advisers guide the clients to plan their wealth goals. They review and suggest options for investments such as retirement plans, mutual funds, life insurance, real estate, and tax plans. Personal financial advisers can perform their jobs both online and offline. For the initial period, the professionals need to possess strong interpersonal skills to build a client base in order to start working. This job is easiest to do from the comfort of one's home. In today's competitive business world companies have high demands for financial writers. The written material is delivered electronically via email or web servers and the writers have to work on the same. In many companies, most financial writers work from home and deliver the required work by a particular deadline. Financial analysts look for market trends and investment opportunities while using formulas and statistical analysis to calculate risk and potential outcomes. In this role, you'll need to have a strong understanding of statistics and a knack for interpreting data into practical investment advice. The functions include researches macroeconomic and microeconomics conditions along with company fundamentals to make business, sector and industry recommendations. Financial analyst recommends a course of action, such as to buy or sell a company's stock based upon its overall current and predicted strength.